RCX 2012 – Celebrity Sighting « Big Squid RC – RC Car and Truck News, Reviews, Videos, and More! Brian sent this pic telling me there’s a celebrity in it. I searched and searched. I think I found who he was talking about. Click after the break to see. 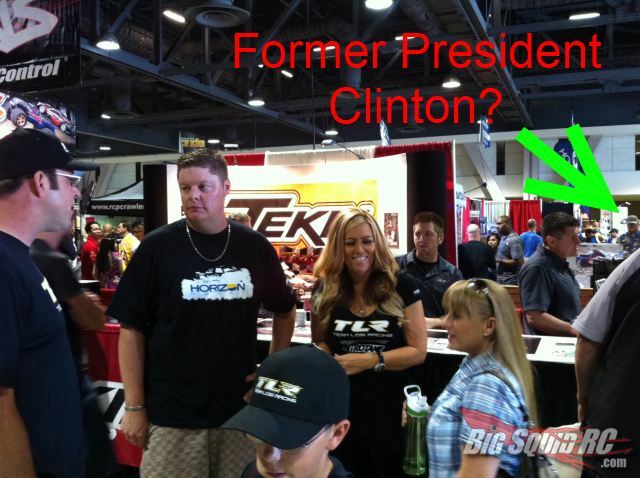 Unless Brian meant pro RC racers Adam and Rhonda Drake that are front and center. That would make more sense… let’s go with that. Ignore my guess.